Gayle Chong Kwan is of Scottish-Chinese Mauritian descent and was born in Edinburgh in 1973. She holds a BA in Fine Art from Central Saint Martins College of Art, an MSc in Communications from Stirling University, and a BA in Politics and Modern History from Manchester University. Phd, Fine Art, Royal College of Art, London (2012-). She lives and works in London. 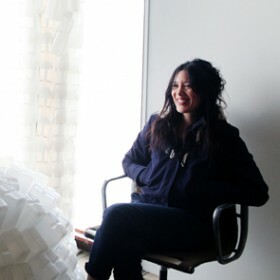 Gayle Chong Kwan’s practice readdresses individual and collective ideas of paradise and utopia. These relationships tend to be played out in contested public spaces rather than insulated gallery micro-climates. Her prior education in political science and a Masters qualification in Communications is an interesting element in a practice that routinely deals openly with the contested territory of utopia.